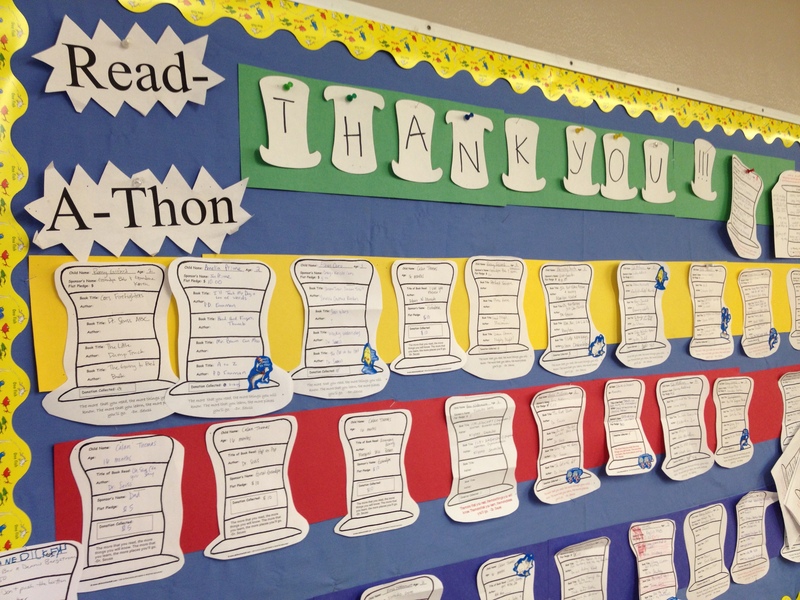 Gail displayed our lists of books from the read-a-thon on the bulletin board in the classroom. We had Literacy Night this week as one of our educational seminars. It was a great time to hang out with the families–we had pizza plus a wide array of salads (not to mention a Martha Stewart–worthy fruit pizza. Wow, it was pretty!). There was also a book exchange, and my family came home with four great new ones that have not left our nightly rotation since. This entry was posted in seminars and tagged literacy, party, pizza.